The used wheelchair market is strong as people look for less expensive alternatives to purchasing brand new mobility equipment. At the same time, those who own wheelchairs or have relatives with mobility chairs that are no longer needed regularly seek to sell or donate their used chairs. Although wheelchairs are specialized, individually fitted products, it is possible to find appropriate used equipment with input from your healthcare provider on size requirements, features, and condition. You can source used mobility chairs by contacting local disability organizations, independent living centers, and local hospitals. Pre-owned wheelchairs can also be found through website classified listings, online auctions, community social media pages, and sites including Craig's List, Letgo, and OfferUp. Though sellers may less likely be familiar with the equipment and you should always be able to "test drive" the chair and have it inspected by an expert before purchasing. As you consider your used chair options, check to be sure that your weight and size are within the specified capacity of the wheelchair you are going to purchase. Always inspect a second-hand wheelchair in person to ensure that it is in good condition and meet your needs. Before your visit, do a web search to find user reviews about the chair you are considering and find out as much as possible about the wheelchair's features and reliability. During your visual inspection of the used wheelchair, look at general condition of the chair, including tire, foot rests, wheels, seat, armrests, etc. If the mobility chair you are considering is electrically powered, check out the battery box for possible corrosion and carefully inspect all of the wires and connectors. Take a look at where the drive shaft exits the motor and check if there is an excessive amount of grease and dirt outside of the motor housing. Furthermore, review the condition of the joystick and/or other controls. Test drive the chair to ensure it is comfortable and easy to maneuver. Ask to review manuals and related paperwork that came with the chair when it was originally purchased. It is also advisable to have a wheelchair specialist inspect the used wheelchair to ensure it is in proper operating condition. If you cannot personally inspect a chair and want to consider purchasing from an online, out-of-town seller, ask to see photos of the used chair from all four sides, as well as a photo of the tires, controls, battery box and wiring. Then, review the photos for any signs of wear an tear. In addition, contact an independent wheelchair supplier in the city where the chair is located. Inquire whether it is possible to pay the supplier a nominal fee to inspect the used chair and report back to you on its condition via phone and a faxed or mailed report. Then, ask the prospective seller to take the chair to the supplier for inspection, as a condition of purchase. While there is no way to ensure that used wheelchairs will suit your needs like a brand new, customized wheelchair, you are likely to find an appropriate wheelchair as long as you take the condition and features of the equipment into consideration. 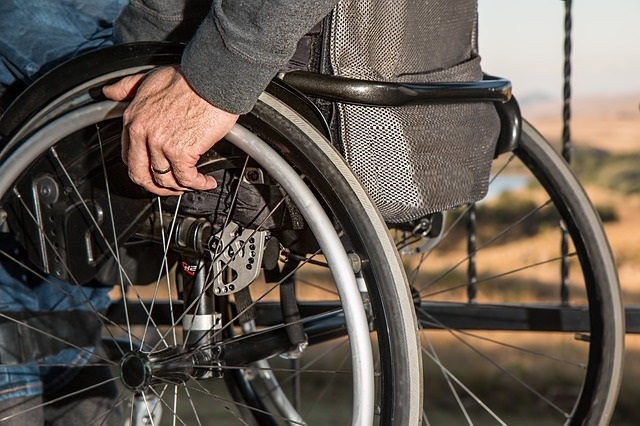 Also note that wheelchair warranties are not typically transferable, which means that even if the warranty is still in place for the current owner, it may not be valid for you. Though, you will want to confirm warranty eligibility before making your purchase.